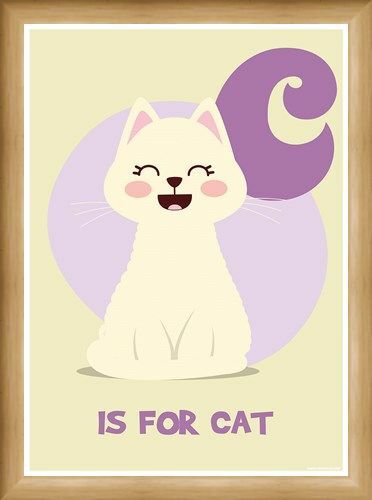 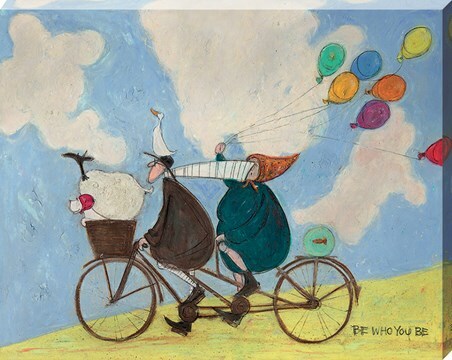 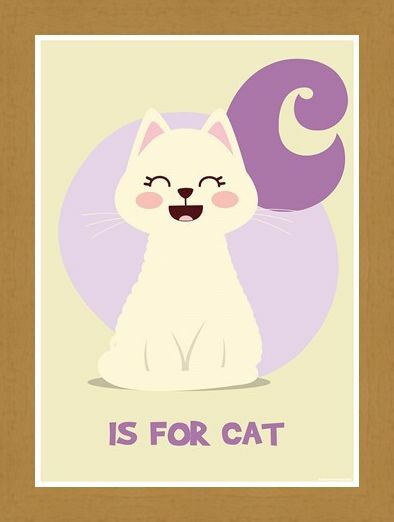 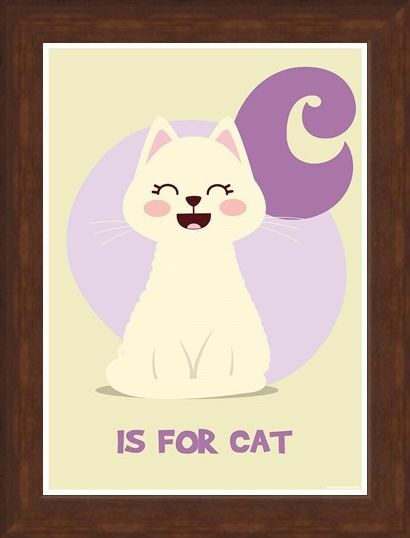 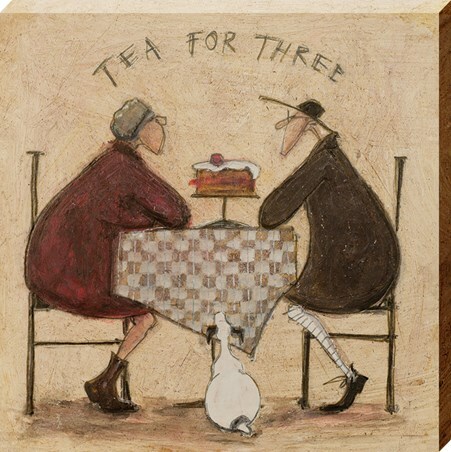 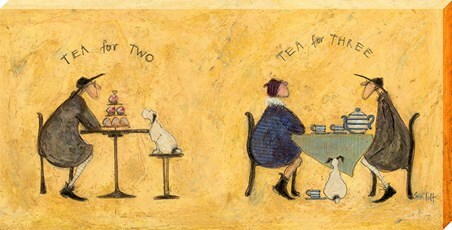 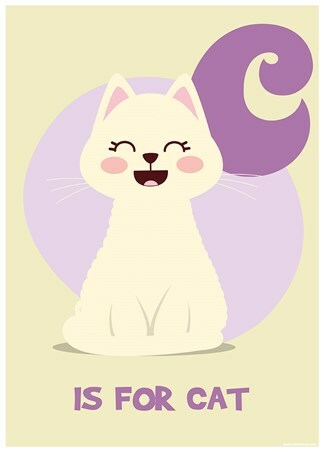 Grab this pastel mini-poster to act as a reminder for the little ones...and the grown-up's too...that C is for Cat! 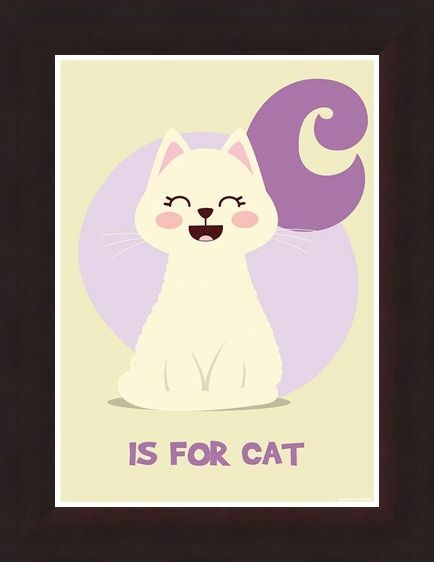 With a cream animated cat smiling in the foreground, against a pastel background of mauve, the palette lends itself to any room in the home! Wherever this min-poster is placed...provide a gentle reminder to any of those in early years who need helpful alphabet reminders! 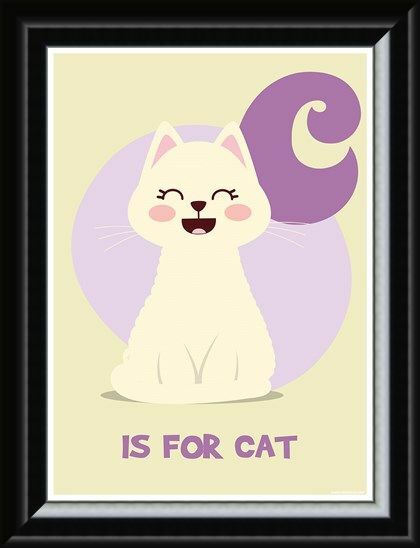 High quality, framed C...is for Cat, Animal Alphabet mini poster with a bespoke frame by our custom framing service.